HOT hatches are growing in stature with each new model that is released. Consumers, in a market once dominated by V8 muscle cars, are slowly turning to the smaller and more agile hatchback to get their performance fix. Enter the 2019 Volkswagen Golf GTI. 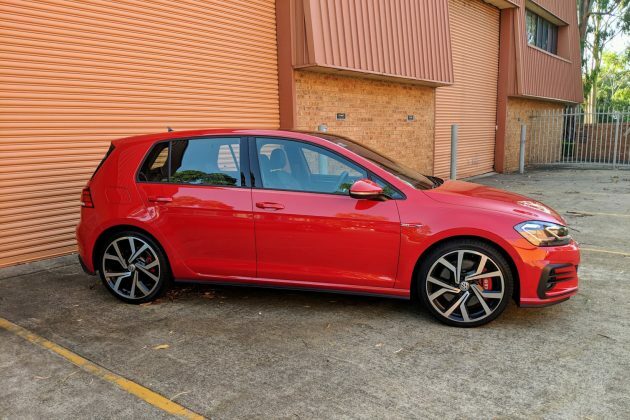 The once undisputed king of hot hatches, the Golf GTI has come under attack in recent times from almost every manufacturer wanting their pound of hot hatch flesh. That competition has even come from within, from the Golf R and Golf R Special Edition. Not always the fastest, and not always the best handling in its segment, the Golf GTI has always been the best overall package when the whole cake was mixed together. In 2019, Volkswagen is adding ingredients to that cake. 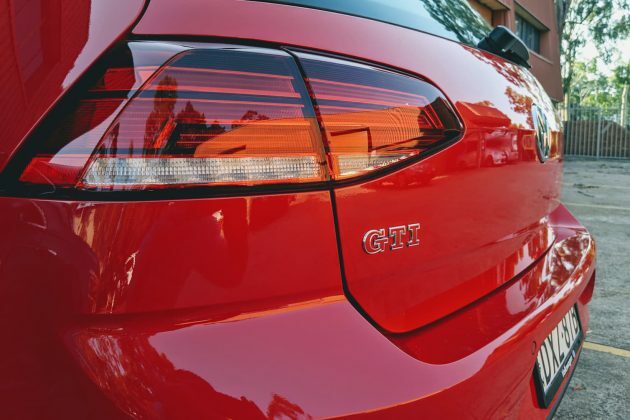 In an effort to strike back against the competition, the German car maker has updated the GTI with more power, more tech and some overall refinement, making this one of the best-rounded Golf GTI’s ever made. Unfortunately, it’s also the most expensive. 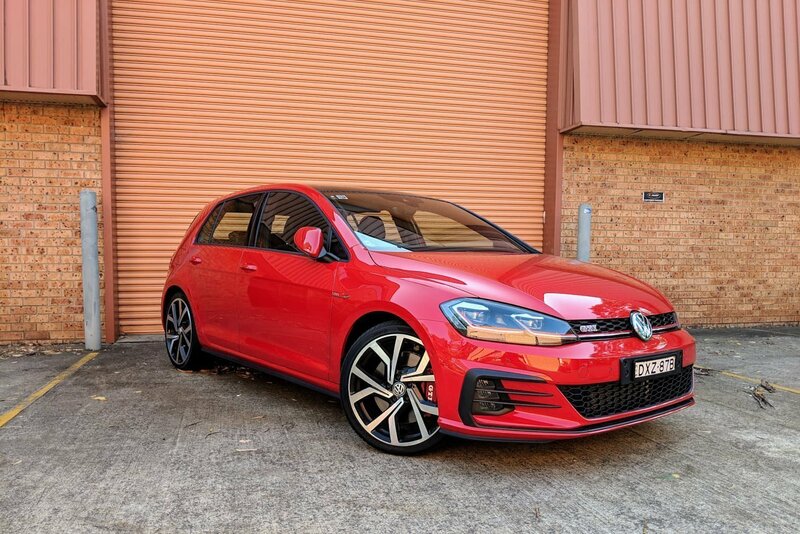 For 2019 the Volkswagen Golf GTI starts at $51,109 drive away and comes packed with 180kW of power and 370Nm of torque as standard. It comes paired with a 7-speed dual-clutch DSG transmission, which helps it achieve 6.5-litres/100km in fuel economy. Those sort of numbers are exceptional for a car with so much performance potential. And yes, as you may have just noticed, the manual is gone, as is 3-door option for the Golf GTI, which will hurt it’s appeal with some buyers. However, with the DSG being the overwhelming choice for buyers over previous years of GTI, you can understand why Volkswagen has made this decision. Also gone is the signature DSG blurt on up-shift. Fortunately, the new 7-speed transmission is a cracker, smoother than ever with that inherent DSG shudder off the line now gone. It’s also a more capable unit than the previous 6-speed. Whether it’s choosing to slip the clutch in second gear rather than opting to change down to first, or giving you that instant up-shift you were looking for by flicking the right-hand gear paddle, it can handle it. The driving experience becomes more refined too thanks to this new found confidence in being able to handle whatever you throw at it, and even though there are 11 more kilowatts on offer over the 2018 model, it doesn’t feel any faster from the drivers seat. It has less urge than its predecessor, which we think is down to how smooth the 7-speed gearbox is. That’s not to say it isn’t quick though; the 2019 Golf GTI stops the clock at 6.2 seconds for the 0-100km/h dash. That’s 0.2 seconds faster than the previous model. On the road is where the 2019 Golf GTI really shines. Thanks to its adaptive chassis control, there is a setting for whatever your heart desires. Switch it to Comfort mode for a long cruise on the motorway or your daily commute, then put it in Sport mode for your favourite back road or country blast. The GTI has you covered whatever your mood. Handling is typical GTI, with good all round ability reigned in with some subtle but safe under-steer when pushing past the limit. Volkswagen offer no compromise in the search for all round ability. Compliant and composed over imperfect surfaces, but agile and responsive when in Sport mode. 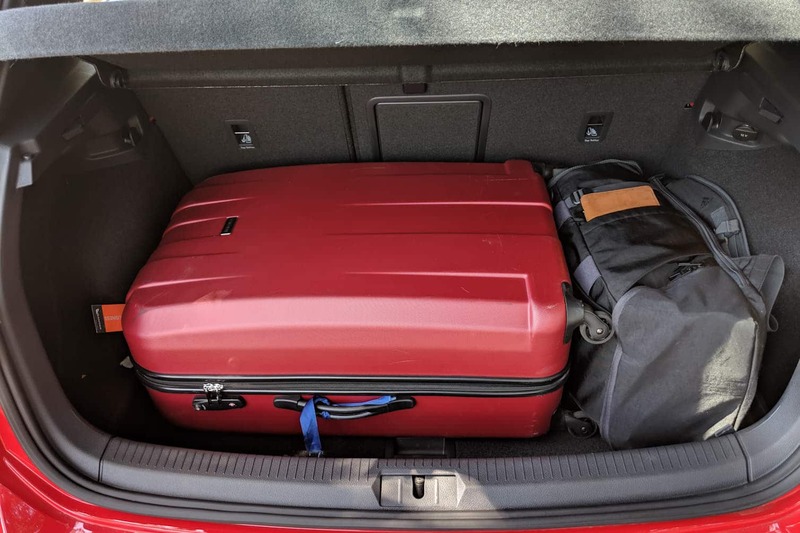 No, it’s not the best handling car in it’s segment, it is however the most adaptable and easiest to live with every day. The interior on the other hand is one place where the GTI’s competitors start to sweat. A beautiful place to be, with a tasteful mix of sportiness and luxury mixed into one. Seating is supportive and comfortable with the search for your perfect driving position just a few adjustments away. The 8-inch Discover media infotainment system, which is fitted as standard, has all of your information and technology needs in one place. Apple CarPlay and Android Auto are included as standard, as is Satellite Navigation and a rear-view camera. 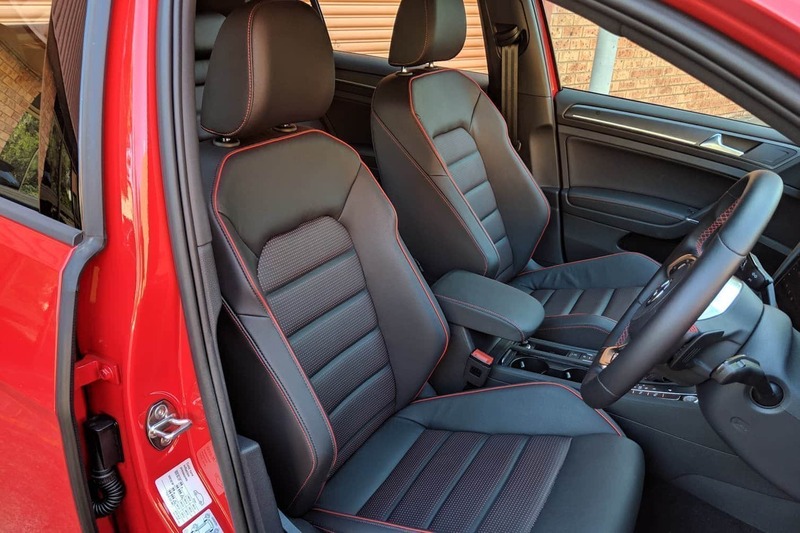 The familiar Clark tartan upholstery is standard fitment and is accentuated with classic GTI badging throughout. Red ambient lighting is a nice touch too, as are the carbon style features on the door and dash. Piano black surfaces surrounding the infotainment system and gear selector look brilliant when clean, but show dust and finger prints easily. This is a good time to also mention the two optional packages available for the GTI; Sound and Style, and Luxury. The former adds stunning Brescia 19-inch alloy wheels, a dominating 9.2-inch infotainment system and crystal clear surround sound Dynaudio 400-watt premium audio system with sub-woofer. 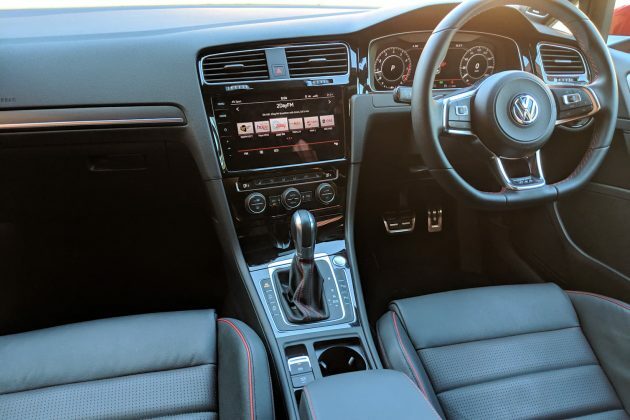 Tick the luxury package box and a panoramic glass sunroof, electrically adjustable driver’s seat with memory function, and Vienna leather upholstery with heated front seats will be added to complete the Golf GTI experience. Our test car had both packages. Standard for 2019 is Volkswagen’s customisable Active Info Display, which is a 12.3-inch digital dash featuring in-depth trip information, navigation, driver assistance systems, vehicle status and convenience menus. We love the dash due to it’s clever layout. Exterior design is unchanged from the previous model; a delicate balance of the subtle and the not so subtle remains. Bold red GTI badging with the signature GTI strip echoed through the LED headlights. Large chrome, twin exhaust outlets and aggressive side louvers reminiscent of the 40-years edition, all signal this as not your garden variety 110 TSI Trendline model. Before you take the 2019 Golf GTI on your favourite back road though, you’ll be comforted to know it has a raft of standard safety features to get you out of trouble, including manoeuvre braking, blind spot monitor, and adaptive cruise control. There’s also front assist with emergency city brake, seven airbags, Volkswagen’s pro-active occupant protection system, and a multi-collision brake to help protect you and your passengers, should those systems be called upon. You should think of the 2019 Volkswagen Golf GTI as more of a decathlete rather than a single sport specialist. While it may not set records in an individual discipline, it will keep taking podiums and be there for the overall championship at the end. 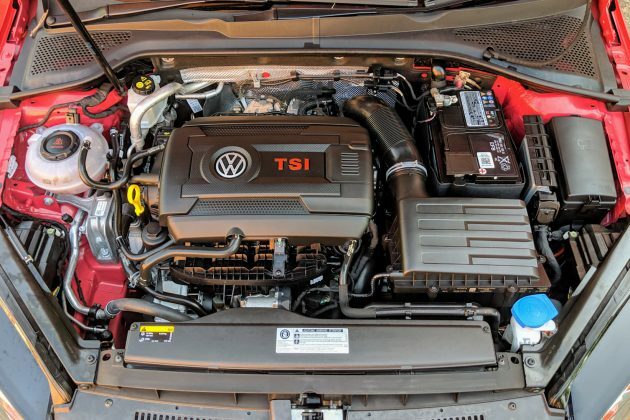 Volkswagen could sharpen the handling, or increase the power output, but at what cost? Why mess with a car that is the perfect balance for all occasions? That’s what the Golf GTI is, the perfect all-rounder. It’s the car you can drive to work every day, run the kids around in, or take to the track for a weekend blast. Like we have said, there are faster cars than the GTI, there are better handling cars than the GTI, but none are as versatile as the GTI. 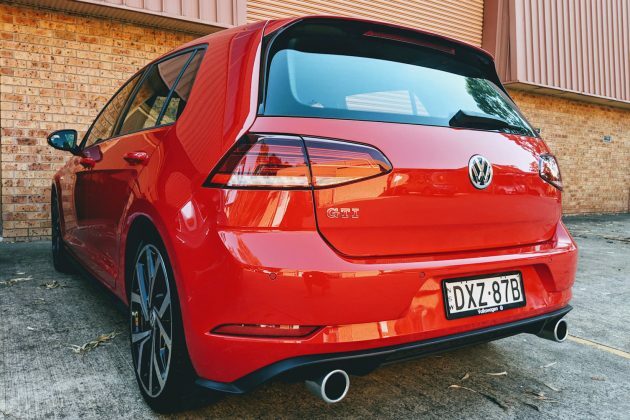 Because of this, the 2019 Volkswagen GTI is still, for us, the best all round hot hatch money can buy. Our test vehicle was provided by Volkswagen Australia. To find out more about the 2019 Volkswagen Golf GTI, contact your local Volkswagen dealer. Pros - smooth DSG 7-speed; interior fit and comfort; versatility. Cons - expensive; lacking theatre; styling too subtle for some. MINI has a limited Blackheath Edition of its popular Countryman model, that is loaded with black themed accessories.